Maritime security is burdened by thousands of years of history and tradition. Joseph L. Nimmich and Dana A. Goward US Coast Guard. The statement on top is a highly loaded, one that truly describes the nature and complexities of the maritime domain and any attempt at managing the maritime environment, whether for security or for conservation. The authors of this article work in “Maritime Domain Awareness: The Key to Maritime Security”, have brought out the key reasons for the limitations of the global maritime security management scenario. The starting point for any initiative towards effective maritime governance with a coherent and systematic approach would be Maritime Domain Awareness (MDA). MDA is rooted in the ability to effectively monitor what is going on at any moment in the entire maritime space. The MDA as defined by the International Maritime Organization (IMO), is the effective understanding of anything associated with the maritime domain that could impact the security, safety, economy or the environment. The maritime domain has been defined as “all areas and things of, on, under, relating to, adjacent to, or bordering on a sea, ocean, or other navigable waterway, including all maritime-related activities, infrastructure, people, cargo and vessels and other conveyances”. The global commons are being effectively utilised to export terror and contraband across the globe. The awareness term in MDA is the key and effective MDA will necessitate that we focus and coordinate to achieve that. To be able to see, understand and share have been described as the most critical pillars of MDA at a tactical level. In our conventional understanding of MDA, we ignore the underwater part of it and in doing so, underestimate the threat from the undersea domain. The underwater threat in the maritime domain is increasingly getting real and far more devastating than ever before. The easy access to technology and know how has made it easy for both nation states and non-state players to deploy sophisticated underwater devices to cause large scale damages and precise attacks on their adversaries. 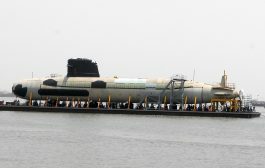 The concept of Underwater Domain Awareness (UDA) in a more specific sense will translate to our eagerness to know what is happening in the undersea realm of our maritime areas. This keenness for undersea awareness from the security perspective, means defending our Sea Lines of Communication (SLOC), coastal waters and varied maritime assets against the proliferation of submarines and mine capabilities intended to limit the access to the seas and littoral waters. However, just the military requirement may not be the only motivation to generate undersea domain awareness. The earth’s undersea geophysical activities have a lot of relevance to the well being of the human kind and monitoring of such activities could provide vital clues to minimize the impact of devastating natural calamities. The commercial activities in the undersea realm need precise inputs on the availability of resources to be able to effectively and efficiently explore and exploit them for economic gains. The regulators on the other hand need to know the pattern of exploitation to manage a sustainable plan. With so much of activities, commercial and military, there is significant impact on the environment. Any conservation initiative needs to precisely estimate the habitat degradation and species vulnerability caused by these activities and assess the ecosystem status. The scientific and the research community need to engage and continuously update our knowledge and access of the multiple aspects of the undersea domain. Fig. 1, presents a comprehensive perspective of the UDA. The underlying requirement for all the stakeholders is to know the developments in the undersea domain, make sense out of these developments and then respond effectively and efficiently to them before they take shape of an event. The UDA on a comprehensive scale needs to be understood in its horizontal and vertical construct. The horizontal part would be the resource availability in terms of technology, infrastructure, capability and capacity specific to the stakeholders or otherwise. The vertical part is the hierarchy of establishing a comprehensive UDA. The first level or the ground level would be the sensing of the undersea domain for threats, resources and activities. The second level would be making sense of the data generated to plan security strategies, conservation plans and resource utilization plans. The next level would be to formulate and monitor regulatory framework at the local, national and global level. 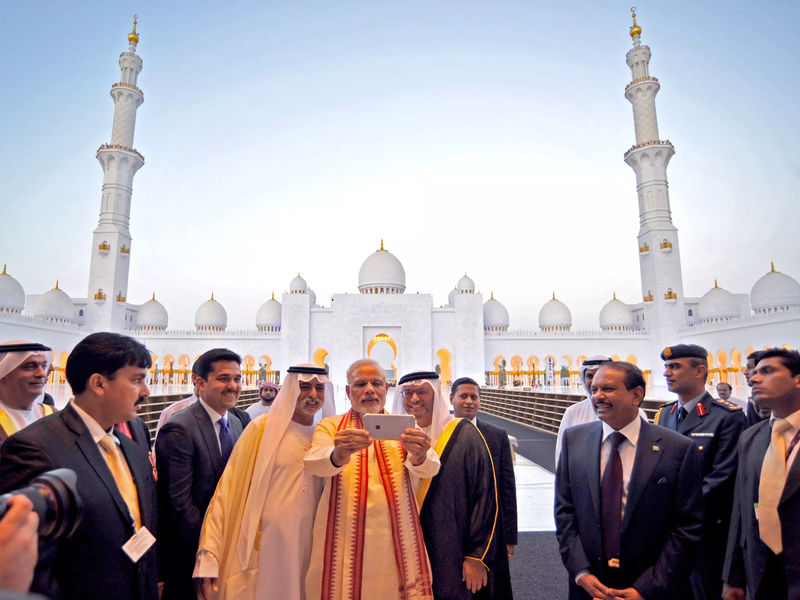 The Indian Ocean Region (IOR) is emerging as the strategic and economic centre of gravity in the 21st century. The region on one hand is driving an economic boom, however, on another account it’s also being seen as the hotbed of piracy, maritime trafficking and maritime terrorism, posing serious danger to international peace and security. The special status of the region and political instability is not just of concern to littorals in the region, but also extra regional powers. The entire post Cold War dynamics is unfolding and the flexing of muscles by global entities is being witnessed in the IOR. The relative immaturity of the powers in the region and the involvement of multiple extra regional powers for significant vested interests is resulting in prolonging the conflicts and uncertainties rather than solving them. The lack of regulations is allowing powers with resources to access and exploit, depriving the legitimate owners of the region, causing unholy alliances and unrest. 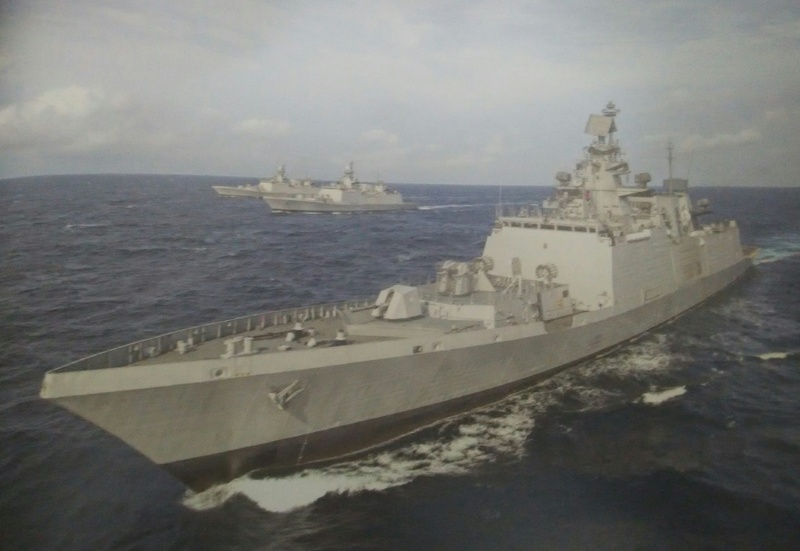 The regional navies and the regulatory bodies have very inadequate resources and capabilities to intervene above the the tactical level and are limited to being mere book-keepers events as they unfold. The IOR is also marked by tropical waters and the UDA formulation suffers substantially due to sub-optimal performance of the sonar systems. The random fluctuations of the medium and the unique site specific behaviour ensure significant (upwards of 50 %) deterioration in the effectiveness of the underwater systems. The Cold War era, that was instrumental in the rapid progress of underwater technology was largely restricted to the temperate regions in the vicinity of North-West Europe. 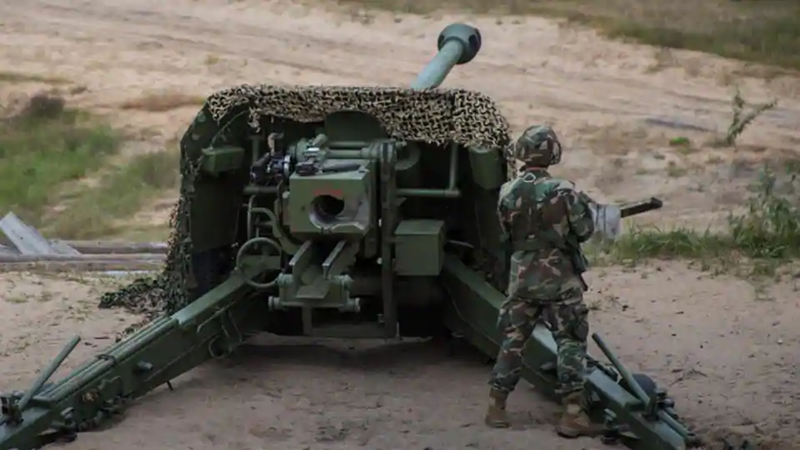 In the absence of indigenous efforts, the IOR will continue to throw challenges to the UDA initiative, both at the tactical and strategic levels. 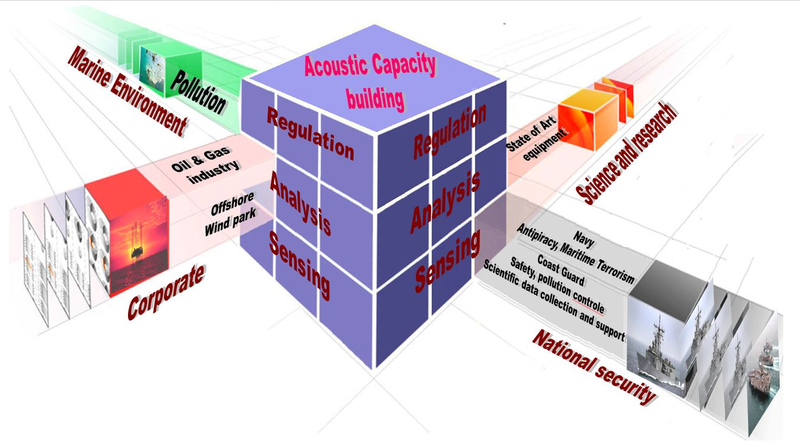 The UDA at its heart involves the core competence of acoustic sensing, supported by non-acoustic means to disseminate the information to multiple stakeholders. The immediate physical layer is to see, where we need sensors and the associated hardware required to deploy the sensors to map the entire region and high performance computing processors. The second aspect is to understand, or the analysis capability, where we make sense of the raw data that has been corrupted by noise and medium distortions. There are two aspects here – the first is the data integrity that minimizes errors due to data corruption and the second is the analysis capability to make meaningful interpretations from the data. The error mitigation requires significant understanding of the local conditions related to noise and the medium fluctuations. The analysis capability apart from the data processing and analytic techniques, also requires long term information on the local conditions to differentiate the routine from the evolution of an event. Both the aspects involve large scale oceanographic studies and acoustic surveys. The third is the share category, where we are able to make the information available to multiple stakeholders and activate response in real time. Acoustic capacity building refers to generating significant information on the local conditions, both to mitigate the errors and also enhance the data analytic capabilities. 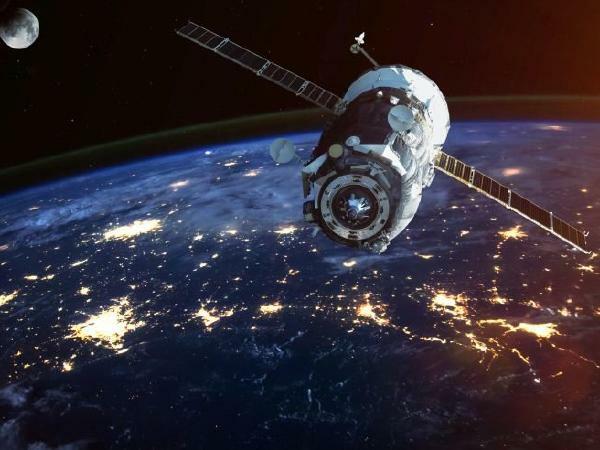 These sensor networks will mean fixed and mobile network nodes comprising of observatories, underwater gliders, autonomous underwater vehicles, remotely operated vehicles, etc. Development of algorithms for data processing across stakeholders, indigenously will be a critical capability. This will translate to enhanced performance of the underwater systems in terms of range, robustness to medium fluctuations, data integrity, etc., and also enhanced understanding of the local underwater domain to quickly recognize any change in the status quo. The interesting fact is that noise is highly contextual and the desired signal and noise varies based on the stakeholder. For a military sonar, the signal from an adversary is the desired signal and any other signal in the environment is noise like a biological signal or reflection from undersea minerals. Similarly for a marine biologist the biological signal is of interest and everything else is noise. The see and the share infrastructure could be imported (possibly at a high cost due to its strategic value) to start with, , however the understand mechanism, is where the indigenous efforts specific to the stakeholders will be critical. On multiple fronts, pooling of expertise could be possible, however, the starting point is the infrastructure for generating the data over long time frames. The prohibitive cost of such an infrastructure discourages the stakeholders to go ahead and invest. The classified nature of the data, whether for security concerns or commercial reasons have eluded any collaborative initiative. Probably government involvement is inescapable to build the basic infrastructure and the acoustic capabilities. Since early 1960s the Indian navy duly assisted by NPOL, NHO, NIO and NIOT has been in the forefront of activities linked with UDA. 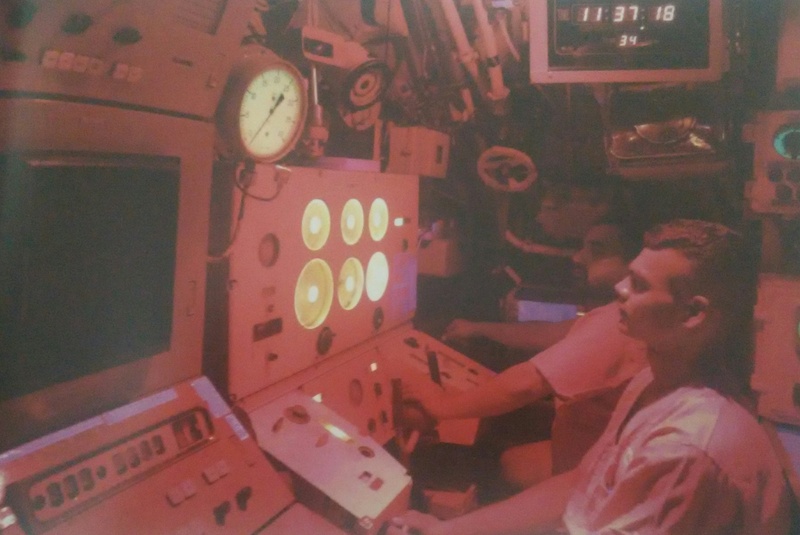 Ever since INS Khukri was sunk in 1971 off Diu, numerous measures were initiated as, ironically, Kuhkri was operating with an indigenous update to its directional sonar 170. Clearly there was an urgent need to upgrade the detection sonar as also the knowledge-base of under water acoustic propagation conditions. In pursuit of ASW related solutions, Sonars 184 from UK and its Soviet version of panoramic sonar MG 312 entered service. 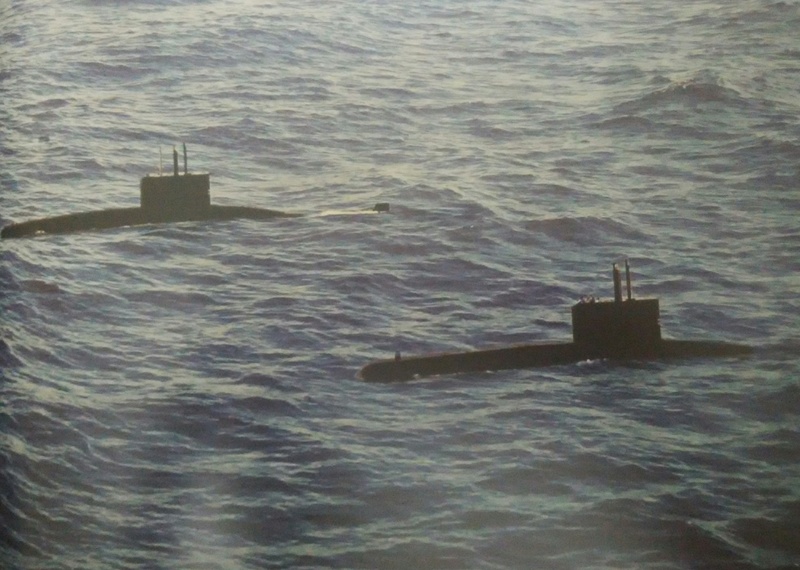 The first indigenously designed and manufactured Sonar APSOH was fitted on board INS Himgiri in 1980 and was subjected to stringent sea trials. The need for scientific data and range prediction tables became an inextricable part of ASW. Security needs of a navy often became the harbinger of UDA as a whole. Both NIO and NHO had made significant contribution to sound propagation studies in areas of interest to the Indian Navy in particular. Although range prediction methodologies were refined over decades of data collection, it remained woefully inadequate in terms of very limited availability of ships for scientific studies which also had the potential to assist fishery and environment related studies. The successful indigenous design and manufacture of Sonar APSOH and its derivatives spurred the scientists to demand more and more UDA linked solutions. This had to be generated within the resources of our country owing to security considerations. Dedicated assets for determining parameters both for environmental and operational needs were targetted by US and French naval ships in our strategic backyard of IOR primarily to counter Soviet Submarines during the cold war. It was at this stage of our history that increasing use of helo borne dunking sonars and air launched sono buoys entered service. This was soon to be followed by passive towed array and sophisticated low frequency detection system. The demand for UDA related studies increased by leaps and bounds. India had entered the big league but with a lag of credible scientific and verifiable data on UDA. In the developed world during the Cold War era, massive acoustic infrastructures were built to generate UDA, like the Sound Surveillance System (SOSUS) and Pt. Sur lightstation, for military purposes. The Cold War period, facilitated unrestricted investments in military infrastructures, so such huge grants were supported. 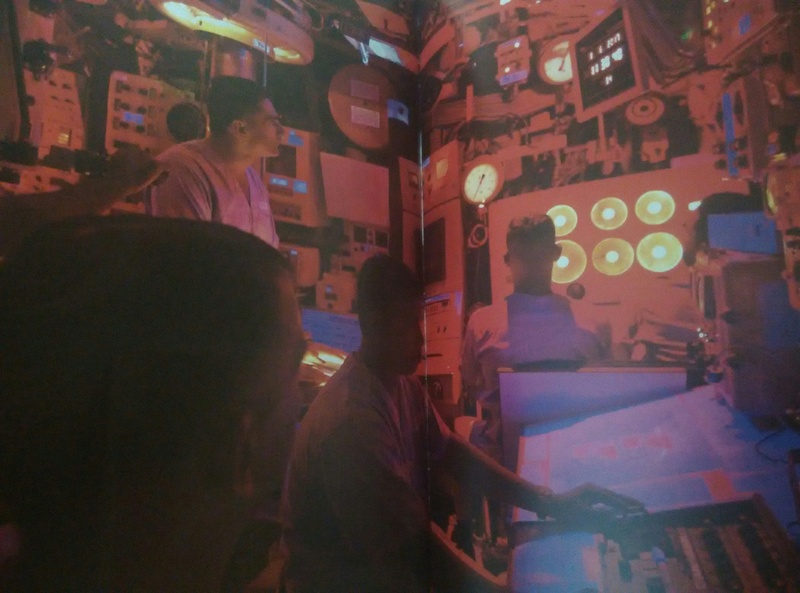 However, post the Cold War, massive military spending was politically unviable and to sustain operational cost of these facilities, they had to be opened for civilian applications. This gave a boost to open research by scientists for multiple applications in the underwater domain. Underwater research is a highly resource intensive activity and only pooling of resources is the answer in today’s geopolitical framework. In India, we have a similar facility at Goa, exclusively for the Navy being utilized for a limited application of acoustic assessment of warships. This facility has significant potential to build the much desired acoustic capability for India in the IOR . In the IOR, the maritime forces are frequently being called upon to perform multiple roles, other than their mandated roles. Their assets and platforms meant for full blown conflicts, get deployed for non-traditional threats like piracy, maritime terrorism, etc and even humanitarian relief and constabulary role of maintaining good order at sea. Effective UDA, if realized across all the hierarchy (vertical construct) can rationalize the deployment of maritime forces and ensure efficient utilization of their resources. Events could be prevented and damages post event if any could be minimized. Effective UDA, requires significant resources and infrastructure for acoustic capacity building to significantly enhance the performance of sonars when deployed in the region. Such capabilities will be highly relevant to all the nations in the region, so opens the possibility of economic and political viability for India to play a leadership role in the region. 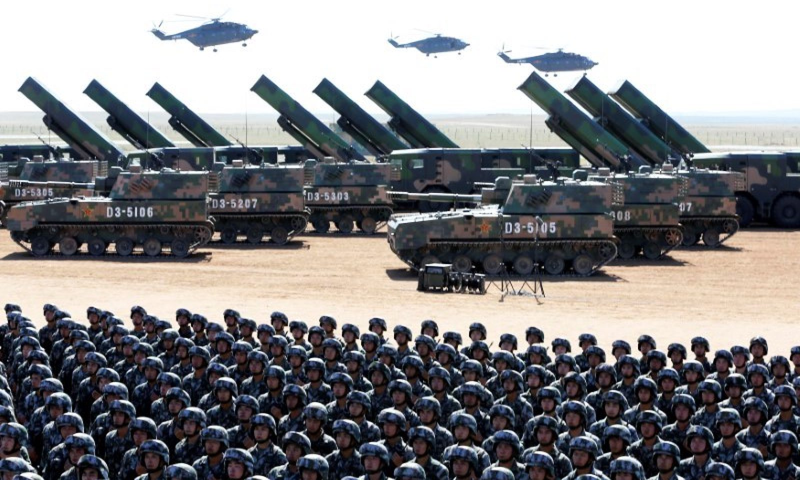 Once the networks are in place, the second stage of generating resources and threat maps of the region can facilitate planning and monitoring resource utilization and security strategies. Information sharing with nations in the region could give diplomatic and political leverage on multiple aspects. The good order at sea and land is governed by regulations. With effective UDA infrastructure and understanding, we can pitch for comprehensive regulatory framework at the local, national, regional and global level on multiple fronts, specific to the stakeholders. The underwater domain is known to be poorly regulated due to lack of transparency and awareness. IOR with its emerging strategic and economic status, requires urgent measures to regulate from the security, equitable sharing of resources and conservation perspective. Effective UDA has the potential to provide soft power for maritime security paradigm for the emerging Blue economic thrust in the IOR. The first step is probably the recognition that MDA is grossly incomplete without UDA. Only a military approach (the military maritime strategy being released in the absence of maritime strategy) to maritime security may be limited in the absence of a comprehensive maritime strategy. Acoustic capability building for UDA needs far more emphasis in our discourse on maritime security initiatives. The UDA in IOR needs to be understood in its entirety, that may require extensive deliberations and research. 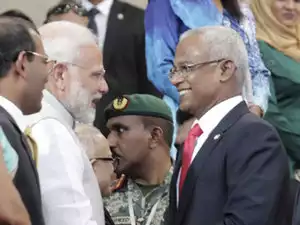 A detailed report on “Underwater Domain Awareness and Acoustic Capacity Building – A Maritime Security Perspective in the Indian Ocean Region” could be a good beginning. In brief, there is a need for identifying, collating and integrating acoustic under water data in a time bound manner by creating an over arching empowered organisation akin to the now talked about Maritime Domain Authority of India. Draw out the detailed UDA framework and its relevance to the MDA formulation. Put in perspective the requirements of the four stakeholders and the dynamics of their interaction with each other and the MDA. Bring out the way ahead for the regulatory formulation, specific to the stakeholders and the maritime strategy aspects involved. 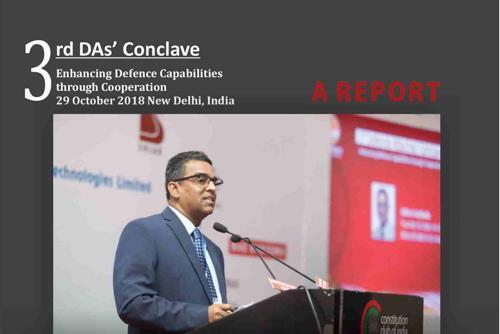 Elaborate on the resource requirements of UDA and how the stakeholders could pool resources and also how the national security concerns are addressed. Present the science and technology aspects of UDA with the gap analysis. Propose the organizational structure to realize effective UDA and its interaction with the MDA. Arnab is a researcher, maritime strategist and an entrepreneur. 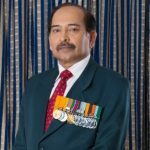 He is the Founder & Director of the Maritime Research Centre (MRC) under the Indian Maritime Foundation, Pune that is working on a unique concept of Underwater Domain Awareness (UDA) as its main focus. 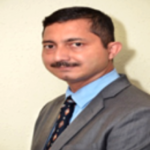 He is a visiting Professor at the Defence Institute of Advanced Technology (DIAT), Pune, He also runs his own company M/S NirDhwani Technology Pvt Ltd that provides consultancies and services for high end maritime security solutions and marine conservation support. 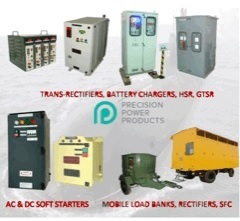 He advises start-ups on underwater technology solutions and defence strategies. He has over 70 publications and a book to his credit. He retired as Flag Officer Commanding – in – Chief, Southern Naval Command on 31 Jul 2006. Before that he was the Deputy Chief of Integrated Defence Staff – Operations, Commandant, National Defence Academy, Commander – in – Chief, Southern Naval Command. He also served as Naval Attache/Adviser at the Embassy/High Commission of India at Islamabad.